In a world of mystery and magic, Daphne is unique.Unlike her friends, who have awakened to the magic inside of them, Daphne was born with it. 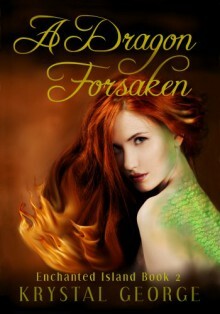 Daphne was born a Dragon.When her past begins to resurface, forcing her into a web of lies and deception, she is forced to accept unexpected alliances and risk everything for the sake of love. Something that she swore she would never let into her life.As the newest installment of The Enchanted Island Series unfolds, she'll learn that nothing is ever what it seems, and when webs get this tangled, everyone's fate hangs in the balance, and nothing is coincidence.